The personal care industry manufactures a wide variety of products that will be stocked in stores across the country. Whether the intent is for hygiene, relaxation or beauty, the product still needs to be created with the best ingredients in order to satisfy customer expectations. The ideal way to get a hold of those high-quality materials is to look for an accomplished ingredient supplier. 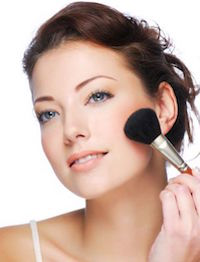 Whether the customer needs a powder blush to apply on their cheeks, a lotion to soothe dry skin or an antiperspirant to keep them from sweating, they all want the best results from what they buy. This means that they will want makeup with the right pigment, a lotion that feels smooth and an antiperspirant that works — essentially consumers will want a product that functions as advertised and gives them a reason to stay loyal to the brand. Therefore, it is imperative that manufacturers within the personal care industry ensure the functionality of their products by finding a source with the most reliable and innovative ingredients. The ultimate source for innovative ingredients is an experienced personal care and pharmaceutical ingredients supplier, as they will have a keen awareness of trends within the market and a large portfolio of materials available from a variety of vendors. Manufacturers of personal care products should look for a reliable supplier like CCC Ingredients, which has years of experience in the field and visible success with their partners and clients. CCC Ingredients is a division of Canada Colors and Chemicals Limited, which has been a leading distributor in Canada for almost a century. The company offers an incredible list of key ingredients needed for personal care products like conditioners, foam boosters, gums and preservatives. Dedicated suppliers do more than distribute ingredients for personal care products to manufacturers — they go above and beyond to make sure that their clients get the best customer service possible. Suppliers can help direct manufacturers to the products that they need and show them the newest options that they may not have considered. For instance, CCC Ingredients has a zealous marketing team that tracks global trends and changes within the industry. This strategic marketing technique means that the company can source products that match those industry trends and changes. A supplier can help a manufacturer adapt to shifts in the market and better the performance of their products. Personal care products need high-quality ingredients to perfect their formulas so that they have the right colour, texture, scent, function and shelf-life. When manufacturers turn to a trusted ingredient supplier, they can be sure that they will get a variety of ingredients that cater to their product needs and respond to innovations within the industry. When a manufacturer chooses an experienced ingredient supplier, they are guaranteed to create a superior product for their customer base — and an impressed customer base will quickly become a loyal one.